Everyone loves Kydex. It makes for durable, lightweight, rigid holsters, mag pouches, and knife sheaths. 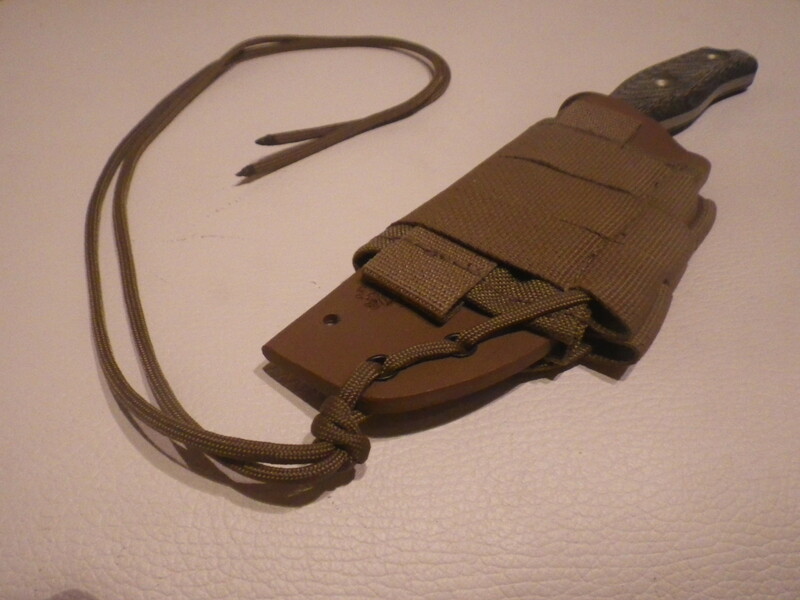 However if you want to attach a Kydex sheath to a MOLLE panel, or have a blade you want to run on a dundee rig, a drop-leg setup, or attach to a pack…the Kydex leaves much to be desired. 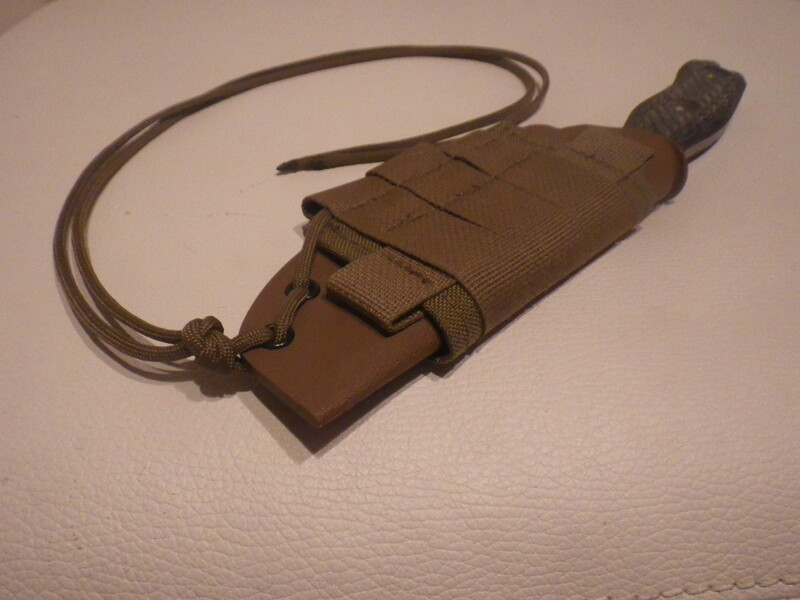 Zip-ties or paracord lashing keep the low-profile of the original sheath, but are somewhat…low-speed. Other methods using screws and polymer hardware work, but add significant weight and bulk. Enter the D-Rmor Gear KTM (Kydex-To-Molle) sheath adapter. Constructed of 1″ Mil-spec nylon webbing and rugged 500 denier solution-dyed Cordura, the KTM adapter gives you an abundance of mounting options. With the use of ITW G-Hooks, Tactical Tailor MALICE Clips, or split-bar side release buckles, you can mount your knife tip-up, tip-down, or horizontally. Set it up as a Dundee shoulder rig, a drop-leg rig, or mount it to your ruck or plate carrier. The KTM boasts four mounting loops and double-sided MOLLE compatible mounting webbing, in addition to a paracord tie-down integral to the design. The KTM offers positive integration and retention of the Kydex and KTM, resulting in a secure, comfortable, versatile, and low-profile upgrade to your favorite sheath and blade combo. Intended to work with quality Kydex sheaths (such as those offered by Al Welke of AZWelke Sheaths), the KTM can be crafted for both pancake and taco style kydex sheaths. Pricing will vary by size, knife shown is a Busse SWatmandu Taco sheath by AZWelke, and would run $49 as-equipped (sheath and blade NOT included). Each KTM is customized to your sheath, and requires end-user to mail sheath with payment. Color options are Coyote, Black, Multicam. Taking pre-orders, contact us today to discuss having yours made!